Maintaining your home is important, surprisingly, the largest area of a home to care for is the roof. 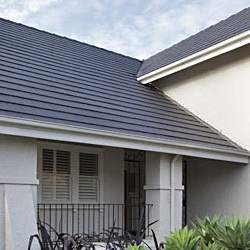 This is why many home owners in Australia choose Boral roofing tiles or terracotta roof tiles because they are hardy, last a long time, and require only minimal maintenance. 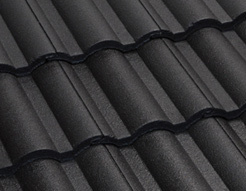 However, even quality roofing tiles can crack and fail under certain circumstances. Knowing the common causes of roofing tile failure and cracking is the best way to prevent damage to your roof, and it will save you a lot of money in repair costs. Understanding why roof tiles crack helps home owners to properly care for their tile roofs. In the long-run, preventive maintenance is always best, especially in regards to maintaining your roof, but the fact is that some common causes of roofing tile failure and cracking are just unavoidable accidents. Not all roofing tiles are the same, for example, newer Boral tiles are superior to older cement and clay tiles, as these will not crack as older roofing tiles will with age. Repairing and replacing cracked roof tiles as soon as possible is very important because it will prevent any costly water damage, such as wood rot and the development of mold and mildew. In fact, as older roof tiles start to show their age, and repairs become more frequent, especially if older clay and cement roof tiles are untreated, reroofing with modern Boral roofing tiles or concrete roof tiles becomes the best financial solution. Roof tiles become brittle with age – untreated older clay roof tiles, and even cement tiles can become brittle with age and exposure to the elements and can crack. Cracked roofing tiles fail to prevent water from entering you roof and can cause serious water damage. Untreated roofing tiles – without a coat of paint or protective layer of roof sealant, some types of clay roof tiles are unable to prevent moisture from penetrating the surface of tiles, which can cause cracking when the moisture expand due to heat from the sun. 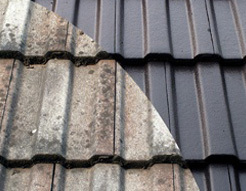 Foot traffic – this can damage roof tiles, causing them to crack and fail. Not allowing just anyone to mount your roof can definitely limit the risk of your roof tiles becoming damaged from foot traffic. You should only allow experienced personnel to traverse your roof, such as licensed builders and professional roofing contractors. Fallen tree branches – the impact damage caused from fallen tree branches. Impact damage from fallen tree branches is one of the most common causes of roofing tile failure and cracking. Roofing professionals at Ajax Gregson Tiles can inspect the condition and health of your roof and point out any potential dangers, such as trees that are too close to your home, or if your old roof tiles need to be repaired or replaced.